seaschell: what are the odds i'll use all this stuff? what are the odds i'll use all this stuff? Besides the car seat cover and the burp cloths, I've made a couple other things to use when the baby comes. I really don't know if all these baby things will be necessary, but they are so stinkin' adorable that I can't help myself! Plus, I know that I won't have a whole lot of time or inclination to be crafty after Baby's born, so I should do it now while I can, especially since school's out. 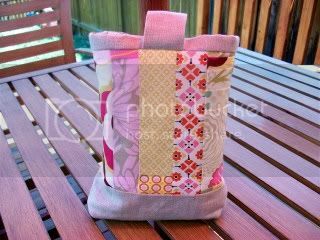 At any rate, I used Noodlehead's tutorial to make a diaper pouch. I'm not sure if I'll use it in the diaper bag or keep it in the car as a spare stash. 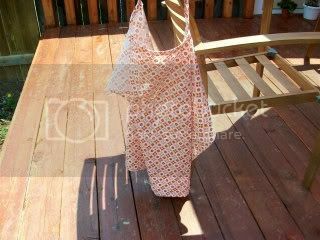 I also used Diary of a Quilter's tutorial to make a nursing cover. 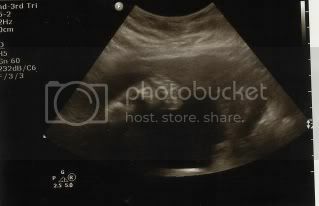 Speaking of Baby, I had an ultrasound on May 20th, and here's my little girl! Oh how exciting! Take it from a mom of 3 girls... a diaper pouch in moms car, AND dads car comes in handy (papa even had one)!!! You will never regret having extra on hand if you need it, even if you only need some extra wipes! 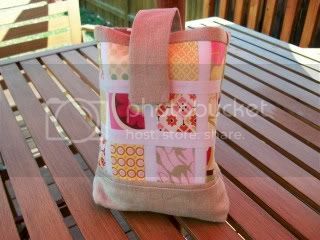 Love all the sewing you have been doing. 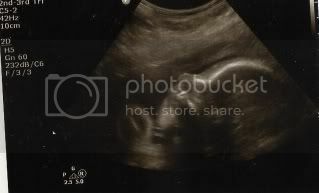 you better not go quiet on us when you have that little girl... i expect to see some fun baby posts! What a sweet little foot! I've enjoyed seeing all your new baby items. I'm sure they will all get plenty of use! Hi there! 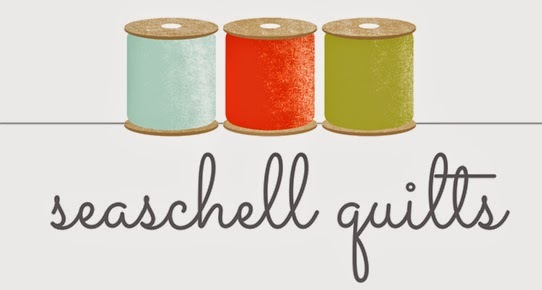 I share about my quilty and other adventures here at Seaschell Quilts.